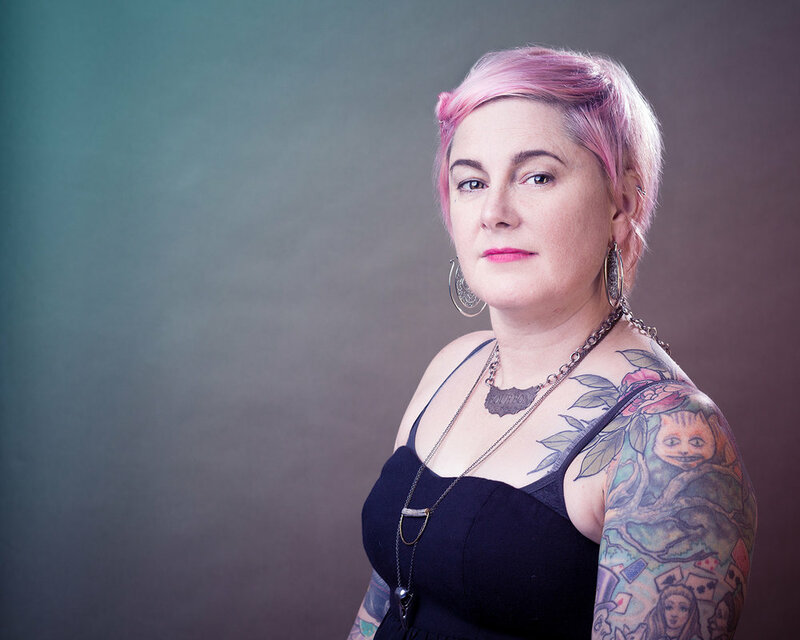 Alice is the owner of Wonderland Tattoo, and has been professionally tattooing since 2001. Throughout her career she has tattooed just about everything, but science and nature themed tattoos are her passion. Alice enjoy’s painting and often her tattoo designs become her subject matter, or vice-versa. She hopes to continue tattooing and making art well into her 90’s! What’s your favorite Oregon destination? The Oregon coast and pretty much anywhere in the Oregon forests amongst the ferns or in the rivers and lakes. What’s on your perfect playlist? Metal, hip hop/Jazz, 80’s, basically a delicate balance of everything.